At last! 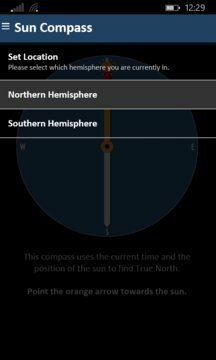 A sensor-less compass app that does not require a compass-enabled phone (magnetometer). 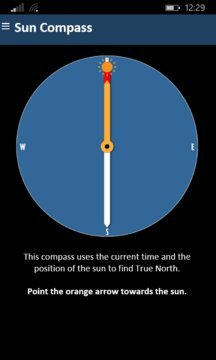 This compass uses the current time and the location of the sun to calculate True North.